Ms. Stone is experienced in representing employers in a wide array of labor and employment matters in judicial, arbitral and agency forums, with a particular focus on clients in the media, entertainment and sports industries. Ms. Stone’s litigation practice includes disputes related to sexual harassment, restrictive covenant and non-competition agreements, misappropriation of trade secrets, discrimination and harassment, and wrongful termination. Ms. Stone also regularly counsels clients on matters relating to internal investigations, employee discipline and termination, and employee handbooks, and conducts trainings on behalf of clients regarding sexual harassment, managerial issues, and workplace behavior. 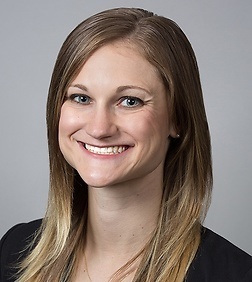 Ms. Stone is actively involved in pro bono work at the firm, including the representation of non-profit organizations, domestic violence victims, and individuals seeking asylum. In 2017, Ms. Stone was named Sheppard Mullin’s Pro Bono Attorney of the Year. “History, Heller, and High Capacity Magazines: What Is the Proper Standard of Review for Second Amendment Challenges?” 41 Fordham Urb. L.J. 1041 (2014).